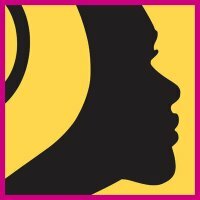 Live Unchained is a collaborative and global arts initiative for women across Africa and the African Diaspora, which includes black women in regions such as the Americas, Caribbean and Europe. We aim to empower them to connect, create and live unchained (as our slogan states). This means, we want to facilitate dialogue amongst women of the diaspora through art. Also, we want black women to create their own authentic stories. Too often, representations of black women in popular culture are stereotypical and do not reflect the diversity of nations we come from, languages we speak and customs and experiences we have. Many people can identify with how frustrating it is to want to express themselves, but not have the right words; everyday language can be very limiting. Live Unchained utilizes the power of art to free up what common communication cannot. The two main components of Live Unchained are media (online and print) and events (exhibits and artistic showcases). We ask female artists to contribute various arts like photography, graphic design, short stories and songs to our “multi-media anthology,” the final product of which will be a book with cd and dvd inserts. Additionally, we will bring the pieces featured in the anthology and on our website and blog to life with events such as art and music showcases and exhibits. Live Unchained is in a competition to win seed money to develop their initiative as a non-profit organization. They have already developed a business plan, preliminary board of directors and short and long-term goals. In order to take things to the next level they need our help. It only takes 30 seconds to vote. Let's support a great cause!